Club Racing, AutoXing and Track Talk. The original 300x32mm Rally BBK allowed to fit 15" Kosei K1s without any need of spacers. It was a slam dunk that pleased racers who wanted to keep 15" rims. 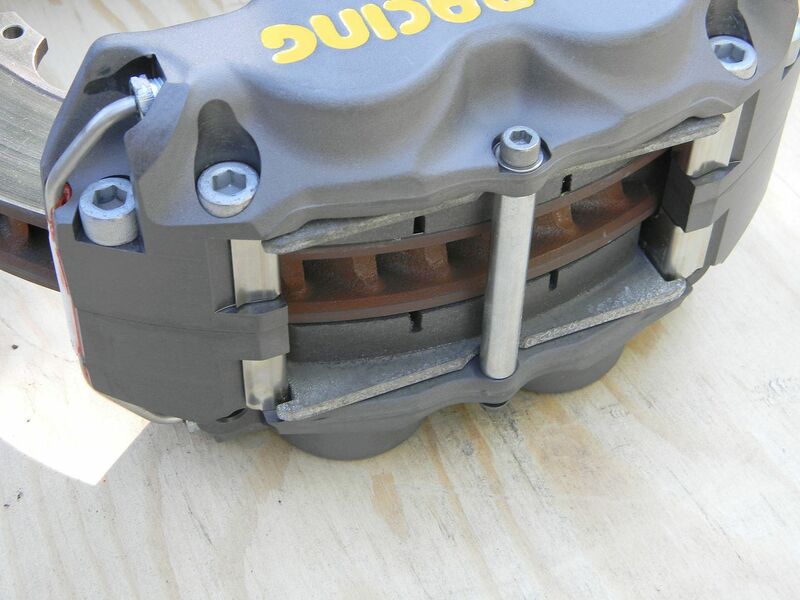 Sadly, I had to phase out that BBK when Wilwood stopped producing the venerable Sl6R caliper and replaced it with a Radially mounted Superlite caliper which was cheaper. Great would you say? Sadly, that new version was designed to accept up to 14" / 355mm rotors, and therefore the saddle was too long and would no longer work under 15" rims. That was 5 years ago. In the meanwhile I have received a lot of request for that kit but had to deny them. It can't be done. The only satisfactory solution would be to use another caliper. AP Racing's CP8350 as sold by Essex in North Carolina. The price is higher that Wilwood's SL6R at $599usd retail. If you have a friend with a shop, he can probably get it for well under $500usd. The e30 M3 kit would be the equivalent of what I already offer for the 4-lug e30. 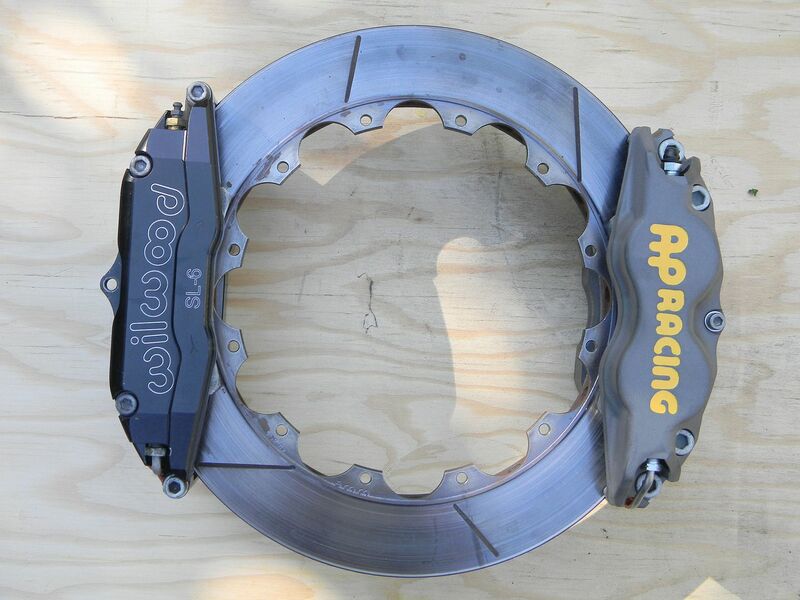 While a rear 300x32mm BBK for e30 M3 and using an AP Racing CP8350 caliper is already available. Shown below with 4-lug hats but I already have 5-lug M3 hats in stock. A steel handbrake drum is also already available for people wanting to retain their OEM handbrake mechanisn. So the question is very simple. 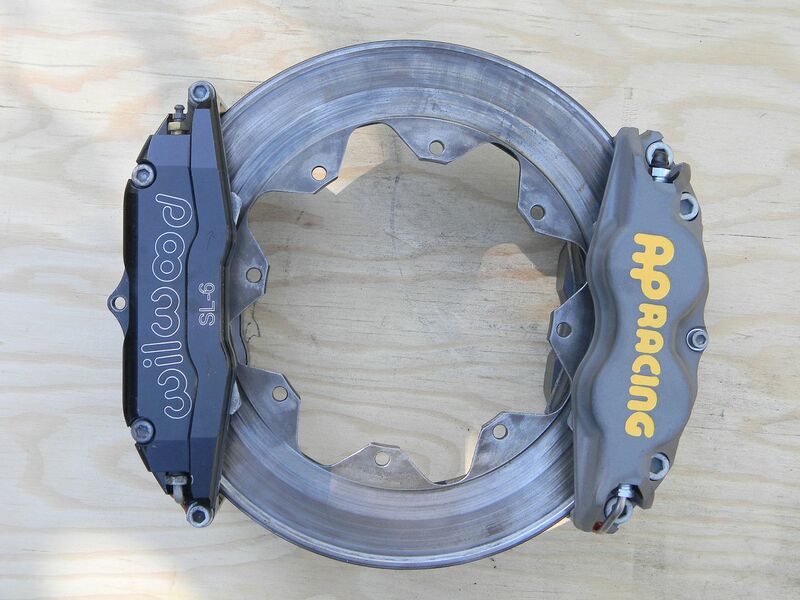 Would there be a demand to reissue the e30 M3 Rally kit, but with AP Racing CP8350 caliper in replacement of the old SL6R? I would do a single production and wouldn't shelf the, I'd need 15 orders minimum. And as usual, people arwe responsible to buy calipers and rotors from their usual source. I would only supply the pats that I design and produce. That is black aluminum hats, stainless steel drive-pins and teflon seals, black anodized alu radial mounts, hydraulic adapters for OEM brake lines and all fasteners. I know this is going to be a very difficult question, but I'll ask. In your opinion having used both, or sold both, is there any way to estimate / quantify the improvement in performance from the SL6R to the AP Racing CP8350? If there might be a quantifiable improvement in braking between the Wilwood and the AP Racing, I can see I might be a candidate for a front kit. Does it still use the very popular 11.75 x 1.25" 8 on 7 rotors? Thats a keystone of my reason for originally building my brakes, that those 11.75 x 1.25 rotors are made by everyone and can be had very very reasonably. Last edited by jimmy p.; 04-05-2019, 03:05 AM. Indeed, a difficult question to answer. Both have staggered stainless steel pistons. The AP caliper has Anti Knock-Back springs (which honestly I don't really see the purpose in real life). 6 pistons for the SL6R and 4 for the CP8350. Both are radially mounted. Both have a crossover tube at the bottom but in the case of the AP caliper, the bleeders and crossover tubes are protected. 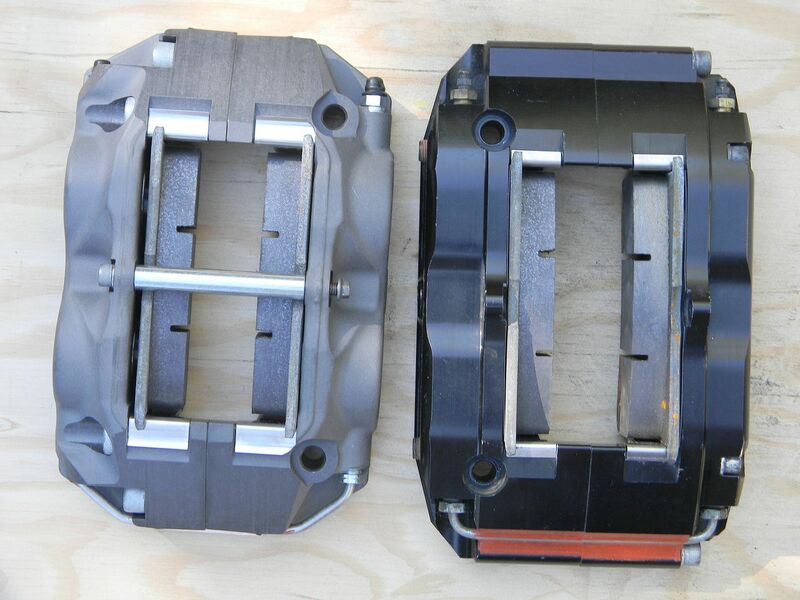 Both calipers use the same brake pad shape. The CP8350 seems to be a tiny bit more compact, and shall be easier to fit behind wheels. But I am still looking for actual data on that. Well the fact that they use the same pad shape is a huge seller for me. 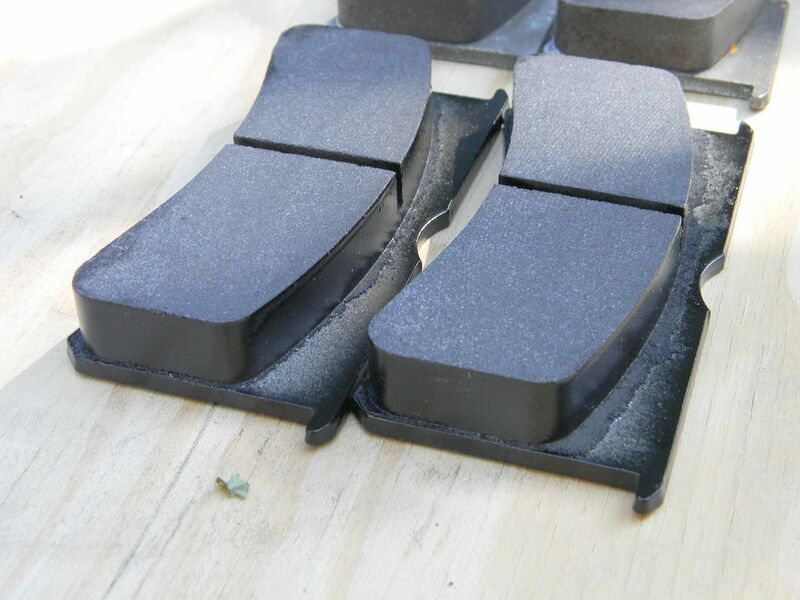 That allows me to still only inventory one pad for that car as my rear 4 piston Superlights use the same pad as well. Agreed on the rotors, I jumped on the Hawk rotors (in front) as soon as they came out and have been using them ever since. 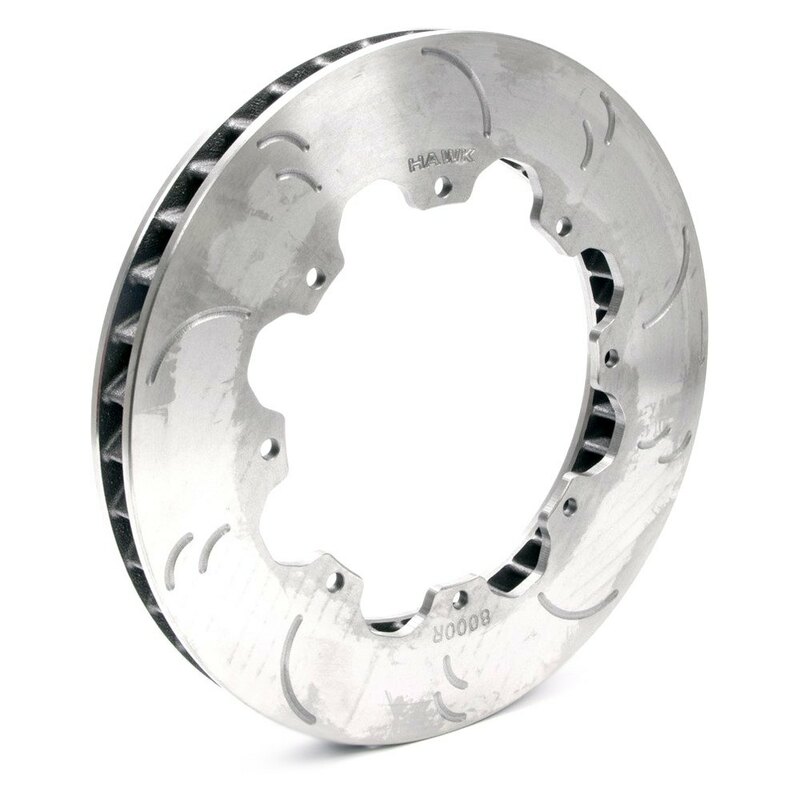 They cost less than the Wilwood Curved vane GT and I cant find any decrease in quality. I still use the Wilwood .810 straight vanes in rear as they are crazy cheap. What would the buy in be for the set of brackets, and hats? I dont need any adapters for fluid, I convert everything to -3 JIC. 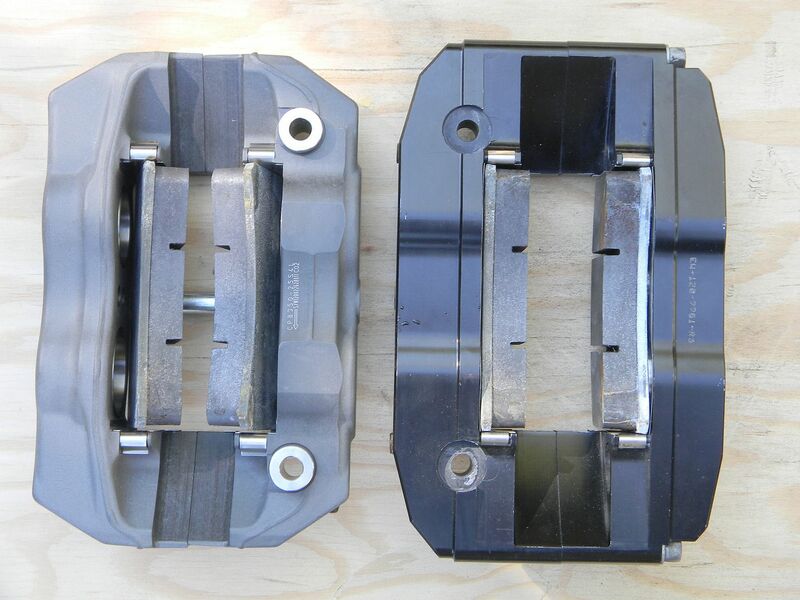 The AP caliper looks nice and compact and just by looking it "appears" that it could be a stiffer caliper than the Wilwood, the hardware is larger and closer together than the Wilwood,,,,, and hey at rebuild time its 4 less pistons to deal with which helps LOL. The shorter overhangs at the ends of the caliper is where my SL6Rs have rubbed the wheel barrel. The more compact nature of the AP on the extreme ends is also a good thing. Last edited by jimmy p.; 04-07-2019, 01:41 PM. A set fo anodized alu hats, 16 stainless drive-pins, anodized alu radial mounts, banjo fittings for M10x1 bubble flare ends (BMW specs) and BMW setscrews shall cost 1050$cad if I can get 15 interested parties, which is the minimum production required. I will only produce ordered kits and don't intend to stock them. I'd probably be in for a set. I've been very happy with my Wilwood rally kit up front and have always wanted to add rears. This seems like a good excuse to switch to AP on all 4 corners. I agree that the AP caliper looks like it will clear the barrels better. My Wilwoods used to rub on the top bolt until I wore them flat. I would be interested in a set, I had inquired but you were not producing. Is it ok just upgrading the front or do you need to do front and rear together? Doing a front BBK upgrade will keep the original bias in check. But if you track hard, you'll notice that the solid rear rotors don't cope well with the extra heat while the front rotors will be able to take even more heat. Basically, if tracking hard, there will be a thermal imbalance.